Earn $8.59 in VIP credit (859 points)What's This? Ultra Narrow 10-speed chain (5.9mm). The narrow profile reduces chain noise and makes adjustment easier. Chain links and pins are hollow so that the chain weighs only 252 grams. Campagnolo lab tests show no difference in wear and stretch when compared to previous 6.1mm chains. 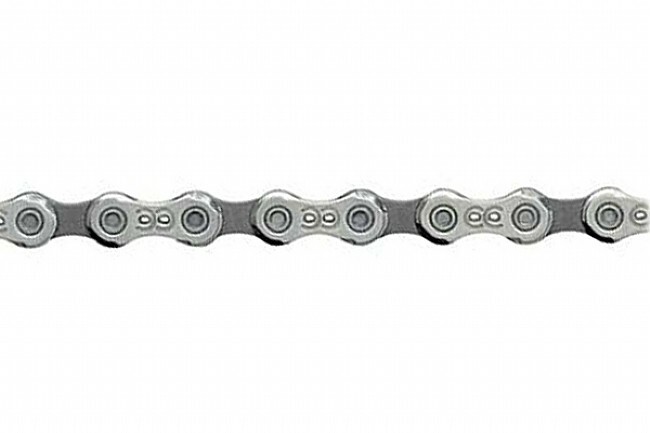 This chain is compatible with all Campagnolo 10-speed systems. If you're still running a Campy 10 then this is the chain to go with. Light, high-quality, and quiet. Great pricing and service from BTD like always.